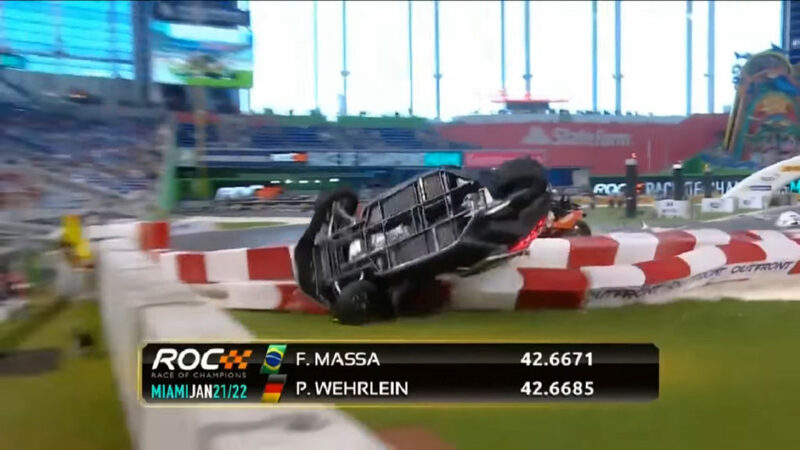 The Race of Champions (ROC) took place in Miami over the weekend, with the world’s best racing drivers duking it out. However, German F1 driver Pascal Wehrlein is feeling a little worse for the wear after a ridiculous crash on Saturday. The incident saw Wehrlein going wide, smashing into several barriers before climbing over Felipe Massa and rolling in dramatic fashion. The car had a roll-hoop though, allowing the young German and his passenger to walk away from the crash. Wehrlein was sidelined as a precautionary measure, having reported mild discomfort, leaving teammate Sebastian Vettel to win the Nations Cup by himself the following day.